Parallels can be drawn between 2019 and 1999 polls when Vajpayee failed to get a clear majority despite humiliating Pakistan in Kargil a month ago. Most political experts say that the great Indian Air Force strike in Pakistan’s Balakot will help Prime Minister Narendra Modi’s BJP sweep the national election this year. Some are even forecasting 350 seats in the Lok Sabha. The dream figure for Modi and Amit Shah is 415, more than what the Congress had won in Rajiv Gandhi’s stunning landslide in 1985. What is the equation of wars with electoral prospects? The BJP is not alone in doing the calculations. Some opposition leaders, too, are busy with the numbers, albeit apprehending an electoral debacle for their respective parties. Not many, on either side, though, are as crass as the Karnataka BJP veteran and former chief minister B.S. Yeddyurappa. He said the Pulwama killing of 40 CRPF jawans followed by the IAF air strikes could give victory to 22 BJP Lok Sabha candidates in his state. His statement was picked up by Pakistani agencies to claim that the whole exercise was launched to win Lok Sabha seats for Modi. Some BJP leaders in Karnataka also speculated that the Kumaraswamy government (formed in alliance with the Congress) will now fall. And that Madhya Pradesh, which the Congress wrested from the BJP after 15 years last December, will become shaky. Are there any precedents of wars bringing electoral victories? The two-month-long Kargil war – from May to July 1999 – was fought just a little over a month before the Lok Sabha elections were held. Indian casualties were estimated between 500 to 800; Pakistanis killed in the combat were in the range of 800 to 1200. The material and human loss in the recent conflict is far smaller in comparison. 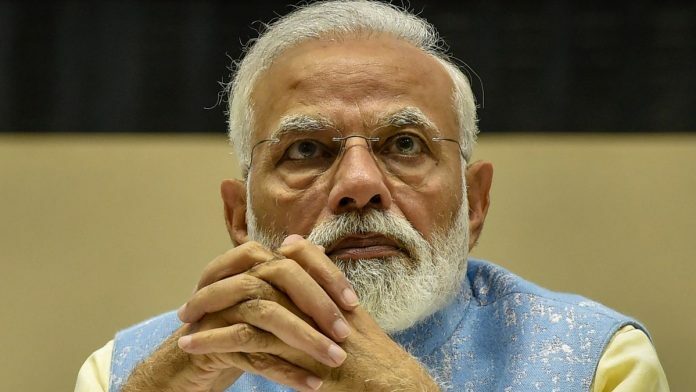 The Modi government has not provided any official data on the number of Pakistani terrorists it says were killed in the IAF air strike in Balakot region. The hyper-enthusiastic channels’ figure of 350 deaths in the attack on terrorist camps is at best a speculation. In the Kargil War, on the other hand, there was considerable damage – both in terms of material and human loss. At that time too, there was speculation that the government would postpone the elections. And just like now, the opposition was in a shambles. Sonia Gandhi’s leadership of the Congress party was merely a year old, and had already seen rebellion from Sharad Pawar, who had challenged her command on the grounds of her foreign origin. In the month between the end of war and the beginning of the elections, the experts went to town forecasting grand victory for the BJP and the NDA. There was no media blitz, very few TV news channels, and the debaters were still only learning to shout and scream. Although the slogan of “Congress-Mukt Bharat” was yet to be coined, Sonia’s “inexperienced leadership” had brought the pontiffs together to declare that the grand old party was doomed. Indeed, from L.K. Advani to Mulayam Singh Yadav to Sharad Pawar, all had begun to say that the Nehru-Gandhi era was over. Pawar’s rebellion and the formation of the Nationalist Congress Party was based on this hypothesis. He had publicly eulogised Vajpayee’s leadership and the BJP. The opposition’s tethering of the Congress had made leaders in the BJP, such as Pramod Mahajan, so audacious that they had begun to echo Advani’s lofty declaration about the BJP ruling India for the next 50 years. “In 1997 India celebrated 50 years of Independence, mostly under the Congress, but now the history has turned the page and next fifty years belong to the BJP,” Mahajan, quoting Advani, had said later – a claim that would find its way back into the party’s mix 20 years later, with its current president Amit Shah asserting in September last that the BJP will be ruling the country “for another 50 years”. But what happened? Despite the victory in Kargil and the sensational coup in Pakistan, underscoring vulnerability and defeat of our neighbour, the Vajpayee-led BJP could muster just about 182 seats – the same number as in 1998. In fact, Pawar’s rebellion had helped Vajpayee. The loss of Congress seats in Maharashtra following the split in the party boosted the BJP-Shiv Sena’s tally to 28 seats in 1999 from four seats that the saffron party had won the previous year while contesting alone. The Kargil war resulted in the BJP-led NDA only retaining its seats, and not adding anything more to its tally. This showed that the 1999 victory over Pakistan, a lot bigger in scale than the Balakot air strikes last week, could only bring minor electoral gains for the “towering leadership of Vajpayee”. The most important feature of this year’s conflict was the media melodrama. Hardly any story was independently verified, or any counter analysis considered necessary. Everything was believed and served as the way the Modi government intended. Wing Commander Abhinandan Varthaman’s return from Pakistan’s captivity may have eased the tension somewhat, but Narendra Modi’s media juggernaut will keep the Pulwama attack and IAF air strikes live until the elections are over. After having failed on the domestic front, this is the only campaign issue left for him. Will all this media mobilisation help Modi in the election? It can. Can he sweep the polls? Can’t be ruled out. One thing is for sure, though. All the parameters under discussion before the air strikes have lost relevance in one fell swoop — from Rafale deal to loan waivers, from Nirav Modi to Ayodhya. The previous wars, like those fought in 1965 or 1971, cannot be used for comparative analysis. Elections were held two years later in the first instance; while the war in 1971 came eight months after the grand victory of Indira Gandhi in March that year. In the following year of the 1971 war, there were assembly elections held in March, and Indira Gandhi’s Congress won those elections but not by the expected margin. We can take some instances from a little further in history, too. Winston Churchill suffered a massive loss just three months after World War II ended. The Labour Party, under Clement Attlee, defeated Churchill’s Conservative Party, winning almost double the number of seats (393) to the latter’s 197. Churchill was the war hero of the UK, a global icon, a master strategist. He was regarded as the architect of the Allies’ victory in World War II. All pundits and opinion polls had predicted his victory in the elections. That rout is still regarded as one of the truly historic defeats in electoral contests across the democratic world. Or take the American experience of 1991. President George H.W. Bush led the US to victory in the Gulf War, giving a major boost to his 1992 presidential bid as the victory had come nearly 20 years after the disaster in Vietnam. The same year saw the collapse of the Soviet Union. The two Germanys were united during the Bush years. But Bush lost to the relatively unknown Democratic candidate, Bill Clinton. I do not want to hazard and predict the results, this way or that way. After all, the Kargil War was pre-social media and pre-Modi-Shah. But one must look at history and remember that victories in wars do not always bring electoral success. इमरान भी जीता, मोदी भी जीता, मिशन मे कामयाब पायलट अभिनंदन भी जीता. हारा, तो सिर्फ 15 दिन में शहीद हुए 61 सीआरपीएफ के जवानों का परिवार. Yes ,the surgical strikes-II are going to affect the mind of Indian voters to a significant way. Majority of those who go to vote are young voters for whom caste,religion, regional identities are not the sole criteria for deciding their voting preference or voting trend .Many of them are actively watching and using now available social media . please note Indian voters have started watching and rewarding the incumbents performance . The performance of Mr. Narendera Modi ji as the P M of India is better than expected by them. He has set new standards in Governance, Dealing with foreign countries,India s defense , defense procurement, facing terror threats from across the boarder. As for as surgical strikes II are concerned the outcome is clear to Pakistan Government and its military .Otherwise they would not have released the Wing Commander Abhinandan Ji so easily and so early. Indian Voters have noticed it. During Modi Ji s years clout of India has gone up. what ever may be written by pro-congress media , the results of Election 2019 known to every unbiased observer even before first of the votes is cast. It is going to be Modi Ji for next five years. A very well written article. The comparison with UK in 1946 & USA in 1992 is not material. They are mature democracies and media there are very much vibrant and objective. Comparison with Kargil is also not correct as that time there was no media blitz, nor was there social media.Govt at that time did not try to paint opposition as pro-Pakistan as the present Govt is doing and succeeding.The opposition does not have a strategy to counter Govt’s strategy. The issues of unemployment, farmers suicide, agrarian distress and Rafale are now forgotten. Modiji has mishandled this whole strike and letting Abhinandanji be captured and stumped by Mian Imran Khan. Big loss internationally of Indian credibility over PAK attacks. Modiji played gulli danda while Mian Imran bowled bouncers and hit sixers. Now Modiji and BJP will lose the match that is next elections. It is clear that now Indian opposition parties on Pakistan Payroll. Siddu is a joker for Pakistan then Rahul is the second best joker, Mamtha Third Best Betrayer, crazy wal is the fourth and CBN is overall ring leader for Pakistan. These people are working for their richness, put India down in various ways. It is time to strike Indian Opponents very hard, even they never contest in elections. Bush lost only because Perot siphoned off Republican votes. In fact, had Perot not stood, Bush would’ve won in a landslide over Clinton. common people in the war, and their actual veneration of their leaders of that period. Kargil was before any large scale Terrorist attacks took place on the mainland of India. Before 1999, only Kashmir had borne the brunt of Pak sponsored Terrorism. Too many cities all over India have been terrorized since 1999, and each such incident has brought the real fear of Terrorism into hearts and minds. Ordinary people want a strong leader to tackle this menace. UPA failed miserably in its response, especially after 26/11. They never did anything to counter, except candle lit marches and dialog. Difficult to place Balakot in the league of 1971, which was a transformative event, changed the map of the subcontinent, halved the size and population of Pakistan. Made Mrs Gandhi’s place in history. Kargil was, by comparison, a localised conflict, a question of reclaiming territory fraudulently grabbed by an adversary. Young officers led their men from the front, clawing back those icy heights at high cost. Balakot is still shrouded in fog. Were the designated targets hit with laser precision, what were the casualties inflicted, did our jets cross the LoC, much less the IB ? There are different versions and accounts. Difficult to carry this mission to the election campaign as the one defining issue on which it will turn. Whether military operations should be used for partisan benefit is also something that would trouble a lot of people. The best thing about this mission is that war has – touch wood – not resulted from it.